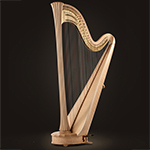 This majestic harp is finely sculpted and glows in the light of 23-carat gold. 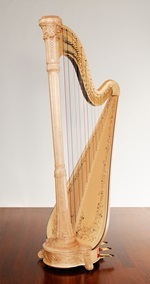 A resounding timbre and captivating aesthetics make this prestigious Salvi harp the ideal instrument for orchestras and discerning soloists. 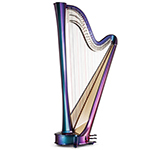 A limited edition work of art, unique and inimitable. 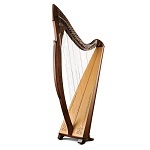 A delicate bouquet of roses adorns the ornate column of this majestic harp. 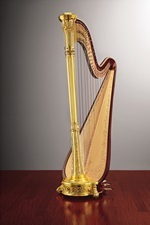 The dream of every harpist, this jewel of Salvi craftsmanship is enriched with 23-carat gold leaf decorations. 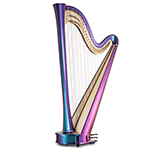 Its aesthetic perfection only serves to enhance its full-bodied and vigorous sound, perfect for orchestras and performers who demand the best instruments to enchant audiences worldwide. 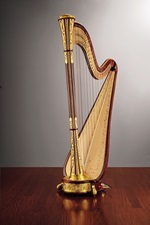 This majestic harp is finely sculpted. 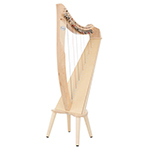 A resounding timbre and captivating aesthetics make this prestigious Salvi harp the ideal instrument for orchestras and discerning soloists. 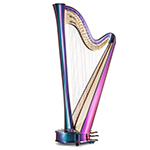 A work of art, unique and inimitable. ความสูง : 49 1/4 นิ้ว/125 ซม. ความกว้าง : 26 1/2 นิ้ว/67 ซม. 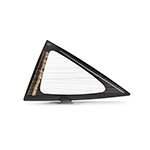 The strings of the Delta run over a bridge, offering playing techniques like pitch bending and slides. The bridge pickup system offers a clean sound across the frequency spectrum from crisp highs to pure bass tones, offering you the maximum versatility to develop your own sound. Compatible with all effects processors, recording equipment and PA systems, the Delta brings a dynamic to live performances and is ideal for home and studio use.